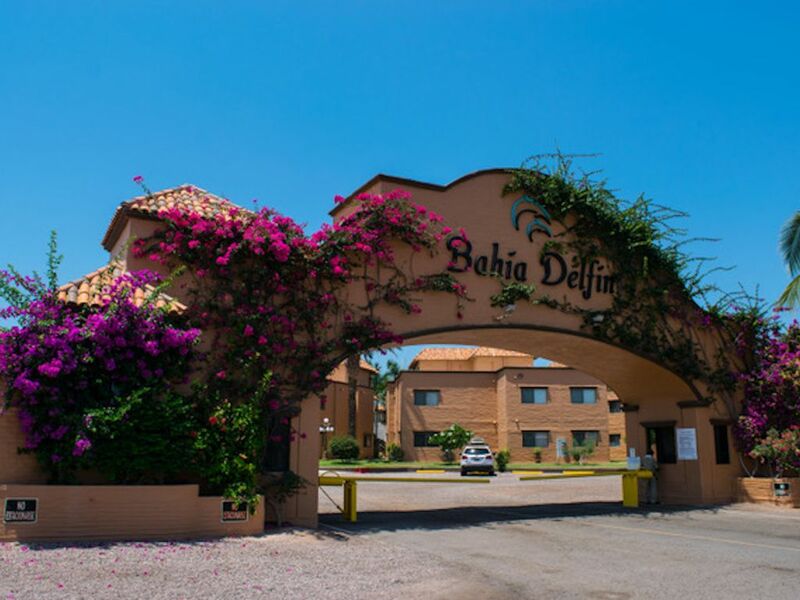 Experience the beautiful Bahia Delfin Condominiums on a gorgeous two mile white sand beach in the charming small town of San Carlos, Sonora, Mexico. San Carlos is located 250 miles south of the Nogales, Arizona border, with a commercial airport in Guaymas just 10 minutes from the condos. San Carlos is located on the Sea of Cortez and truly offers something for everyone. For water lovers, the area is renowned for its beautiful beaches, and calm warm waters, hosting world class scuba diving, snorkeling, wind surfing, fishing, sailing, and kayaking. Dining is plentiful in a variety of restaurants throughout the town and palapas along the beaches. San Carlos also has an 18-hole championship golf course, tennis courts, bowling alley, gift shops and galleries. Our privately owned condo is on the ground floor and includes 2 bathrooms and 3 bedrooms with 1 queen bed, 1 full bed and 5 twin beds accommodating up to 8 people. This unit is fully furnished and decorated, situated on the beach with beautiful ocean views. In addition you will vacation in comfort and style with central air/heat, fully appointed kitchen, entertainment center with a wide screen, flat panel HD TV, gas barbeque, desk top computer with free Internet access, wireless router for laptops, beach chairs, beach towels, and full linens. Enjoy swimming in the sea, long walks or relaxing on the beach, the kids playing on the spacious lawns and/or margaritas on patio. We also have an adjacent 4 bedroom condo available; together they comfortably sleep large families of up to 18 with nobody needing to sleep on the couch! Beautiful unit that had everything we needed to enjoy our stay. We loved the grounds, along with the beach and fun in the sun. Beautiful Property and very comfortable accommodations. The full kitchen, along with washer, dryer and dishwasher were greatly appreciated. The property manager had great communication before, during and after our stay.